If you thought social media is not vital for your career growth, then you need to rethink. Through a LinkedIn post, you can leverage your online presence in the professional circuit, as a large pool of skilled minds network through it. You can use an article, update, or photo to publish a LinkedIn post and garner attention to make your presence felt in your professional network. Being the world’s largest professional network, you should use it to get the most out of it by learning how to post on LinkedIn. Through this article we are going to help you understand the ways to create and post content on LinkedIn. Login to your LinkedIn account and go to the ‘Homepage’. You will see the text box/share box, showing ‘Share an article, photo, video or idea’. Choose the respective options by tapping ‘Write an article/Images/Video’ button, and then type some relevant text on the text box for the post. 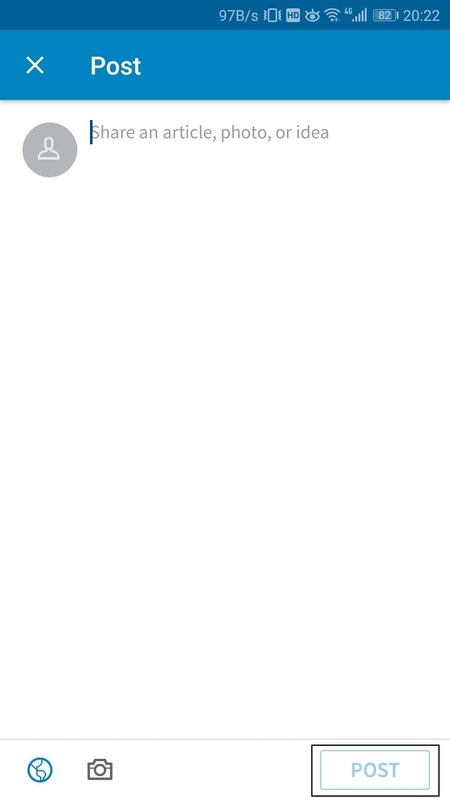 To share a URL along with the post copy the URL link and paste into the text box. You can also type the URL without any blank space within it. Blank spaces lead to an error and prevent the link from being shared on LinkedIn. Wait for few minutes, so that the URL will fetch a preview image, if it doesn’t appear, you can still share the link. 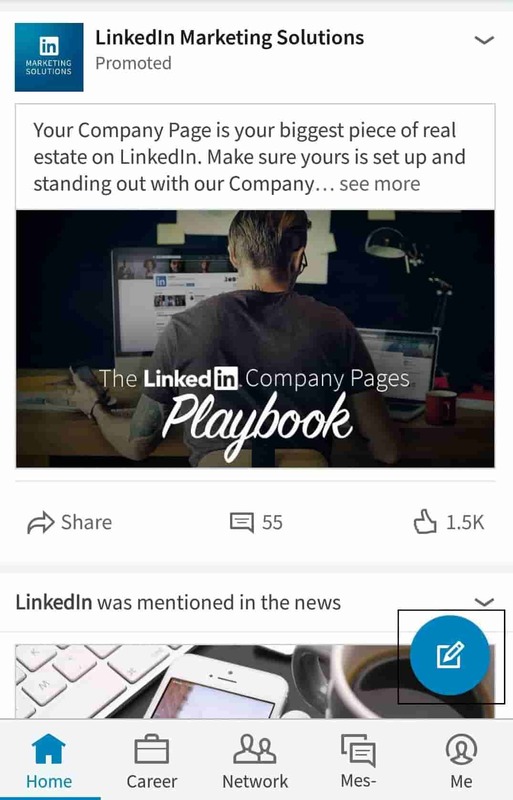 In case you want to share a video through LinkedIn, tap the ‘Video’ tab right below the text box/share box or ‘Share an article, photo, video or idea’ field. Now, select a video from your computer and upload it. Once the video/link is uploaded, you can share it by clicking the ‘Post’ button. Note: For a post you can define the visibility option by clicking the ‘Post Settings’ and selecting the relevant option from this drop down menu. As per the settings you can share the post publicly on LinkedIn/Public + Twitter/Connections. Click the ‘Images’ button below the ‘Share an article, photo, video or idea’ field and select an image file you want to upload. Make sure that the image resolution is 552 (w) X 276 (h) pixels at least, and the size is not more than 5MB. Stay away from using low resolution images in the posts. Likewise too large images beyond 3:1 to 2:3 (width/height) will be cropped and centred, so go for the appropriate size. Uploaded images can’t be resized. Take care of that aspect and add a caption in the ‘Share an article, photo, video or idea’/text field, along with the image. Now, tap the ‘Post’ button and you are done! Note: Image and a URL can’t be shared simultaneously in a single post. LinkedIn pulls out an image from the URL link’ parent site. LinkedIn is not restricted to the browser version. You can access it through Android and iOS devices by downloading the app. Here, we are going to tell you, how to post on LinkedIn through your Android phone. Download, install, and launch the LinkedIn app on your Android mobile. Now, click on the ‘Home’ tab, and then the compose icon at the bottom right corner. Here, we will try to upload video. So, click the video icon and select a video from the gallery or instantly record a video. Then click the blue arrow button under the video. Here, add some text about the video and then click on ‘Post’ to share the video. When you want to share someone else’s content with your connections, this kind of a post is the best bet. It might include a website link or a link to a research/article. Add your original thought (within 1300 characters) related to the content and then copy and the paste the URL link to post on your ‘Homepage’ (refer to Part A). Wait at least 3 seconds while the link gets loaded, you can delete the URL after that to make the post neater. Sometimes you might want to post an original piece of content, which is beyond 1300 characters. You can publish your blog/article using the blogging platform of LinkedIn, known as Pulse. Your blog or article will span around 400 to 2000+ words. LinkedIn articles need to answer a question/ provide insights/explore an issue. Within your post you can also refer to a third-party link that might have added facts about your article/blog. Here is how to write an article and publish it on LinkedIn. It is evident that LinkedIn publishing varies depending on the type of content you are intending to post on your ‘Homepage’. Means, short and precise third-party content is shared as an idea/update, whereas longer contents of your own are shared as articles. As we move towards the end of today’s article, we hope you are now well versed with how to post on LinkedIn be it articles or ideas or images or videos. Videos are a great way of showcasing yourself over such corporate social networks. Make sure to edit the video to deliver a professional approach before you upload it via LinkedIn post. For this purpose, Filmora (desktop version) can come in handy. This video editing software is packed with plenty of professional effects and filters, motion elements along with various creative features offering you seamless video editing facilities for LinkedIn and other social media sites.